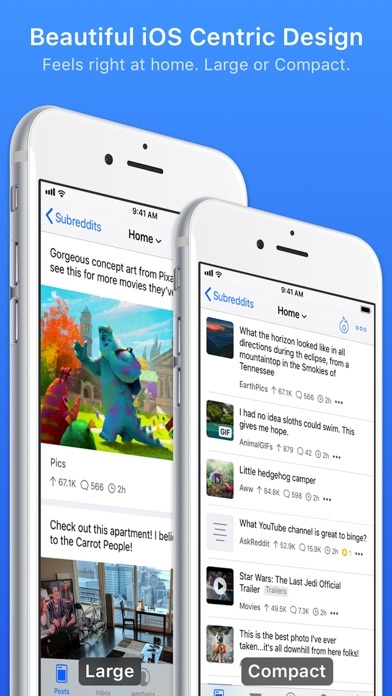 Great alternative of the "official" Reddit app. Plus, if you have an ad blocker, you don't need Premium to continue not seeing ads. I really like the Dark Theme and the ease of collapsing a post to be able to read comments threads fully. It would be nice to be able to have my starred "Favorites" remember their places across devices. 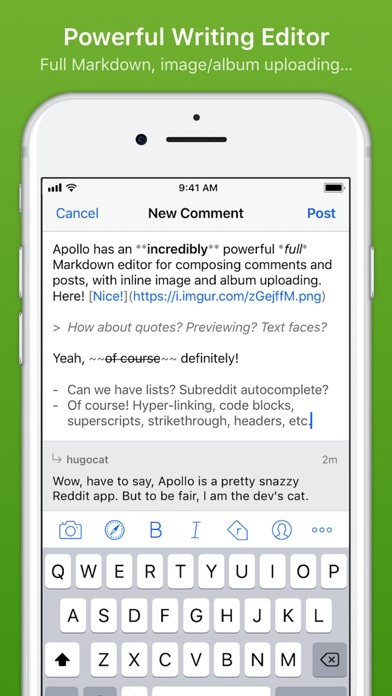 Best Reddit Client in the Universe! This app has so many helpful features that make browsing reddit so much better. 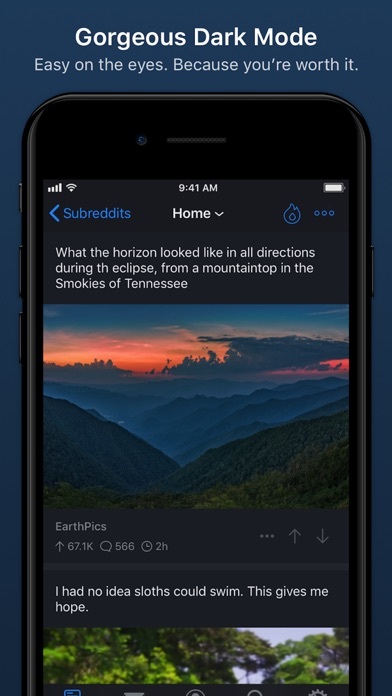 Swipe to upvote/downvote, beautiful dark mode for night time reading, and dozens of other customizable settings to tailor the app to suit your needs. Additionally, the developer is great about frequent updates/bug fixes and always presents an in-app changelog describing the changes in detail. 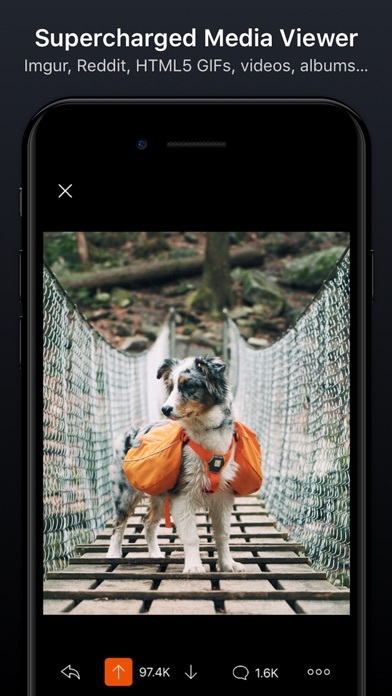 Apollo Pro is a no-brainer and helps to support the development of future Apollo features, as well as supporting the developer, who charges nothing for the standard version of the app. Keep up the good work! Love the app and all the gestures. My only complaint is that gifs with sound never play, and no matter what I try I can’t get it to work. I didn’t even know this was happening until I read comments talking about the sound of gifs - and realized I must have been missing sound all this time. Still like the app but would love to know how to fix this! 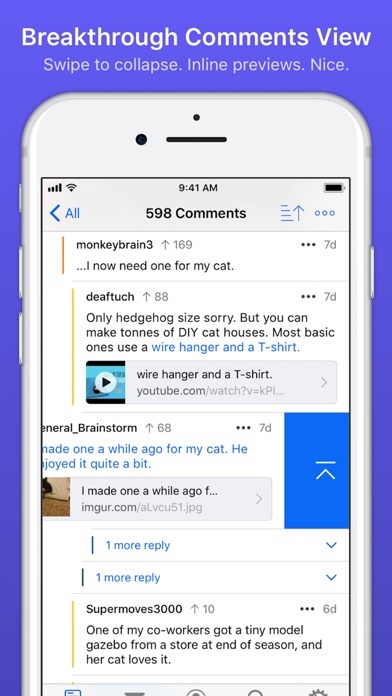 If you enjoy Reddit this is the best app.